April is Bowel Cancer Awareness Month (BCAM) in the UK, supporting fundraising and raising awareness of the mission of Bowel Cancer to ensure that by 2050, no-one will die of the disease. The sooner bowel cancer is diagnosed, the easier it is to treat, but currently no available screening test is 100 per cent accurate. This is why early detection from highly accurate, non-invasive devices like ANCON Medical’s NBT can be crucial in treatment. Bowel, or colorectal cancer is the UK’s second biggest cancer killer, however it shouldn’t be because it is treatable and curable especially if diagnosed early. Nearly everyone diagnosed at the earliest stage will survive bowel cancer, but this drops significantly as the disease develops. Endoscopy tests, such as a colonoscopy or flexible sigmoidoscopy, are currently the key diagnostic tests for bowel cancer, but the invasive nature of these tests can deter people coming forward. That’s why ANCON Medical Inc. is helping to recognize BCAM in April, encouraging awareness of the NBT non-invasive screening device. Bowel cancer is precisely the kind of disease where advanced disease screening technology can be life-saving. Non-invasive, simple to use, and affordable, ANCON’s Nanoparticle Biomarker Tagging (NBT) technology can detect the presence of disease by measuring exhaled breath for signs of the disease. The technology works by detecting in exhaled breath specific “biomarkers,” which are DNA-protein controlled volatile organic compound (VOC) metabolites specific to diseases. 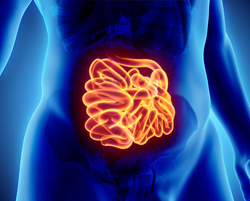 Researchers have discovered biomarkers for more than 400 diseases, with Bowel and other cancers among those. By programming an NBT device to hunt for these specific biomarkers, the disease can be diagnosed early. For more information on Bowel Cancer symptoms and what to do, visit https://www.bowelcanceruk.org.uk. Ancon Technologies Ltd and Ancon Medical Inc.